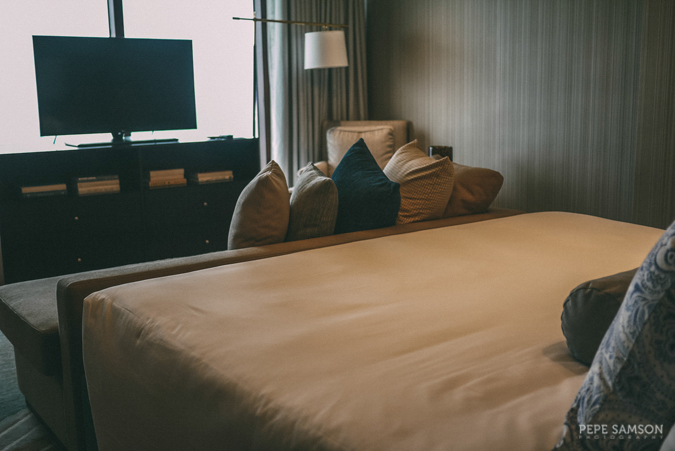 You’re probably wondering where the global leaders—the presidents, prime ministers, kings, and queens from around the world—stay whenever they travel, and one thing’s for sure: it’s definitely not in a typical hotel suite. 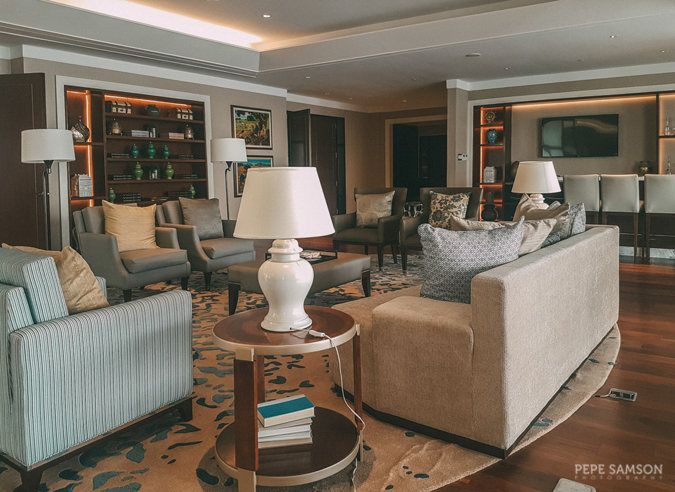 These are very busy people with hectic schedules and crucial roles—and utmost comfort, luxury, and security are indispensable in choosing their home away from home. 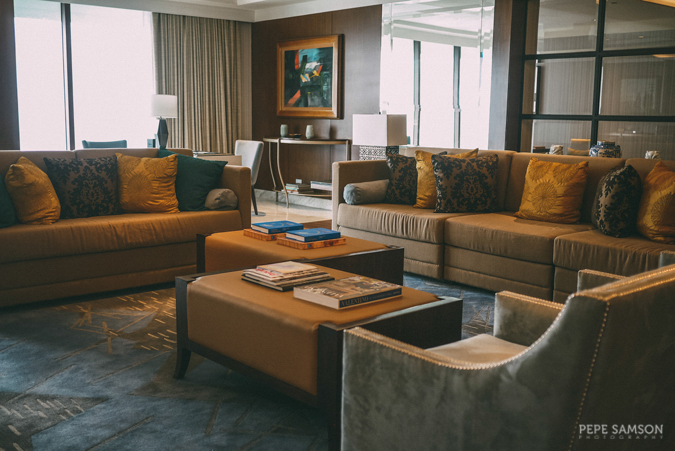 It’s not enough that there are plenty of seating spaces for guests and that the amenities are high-end; these VVIPs should be pampered AND safe. 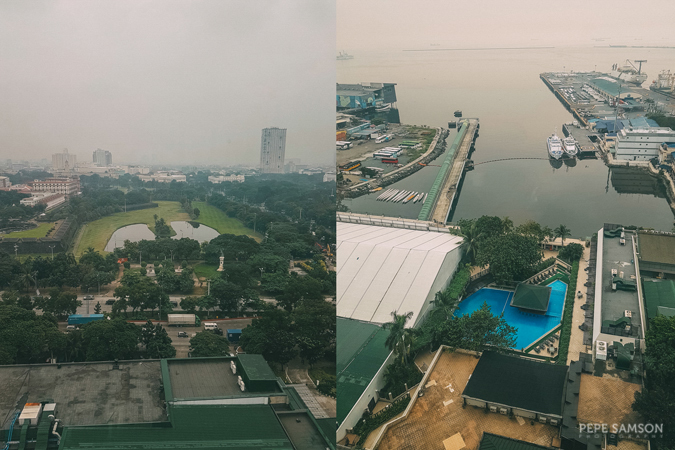 Only a few hotels in Manila can provide such vital requirements, and I was very lucky to have a chance to peek into one of them—no less than The Manila Hotel, the Grand Dame of Manila. 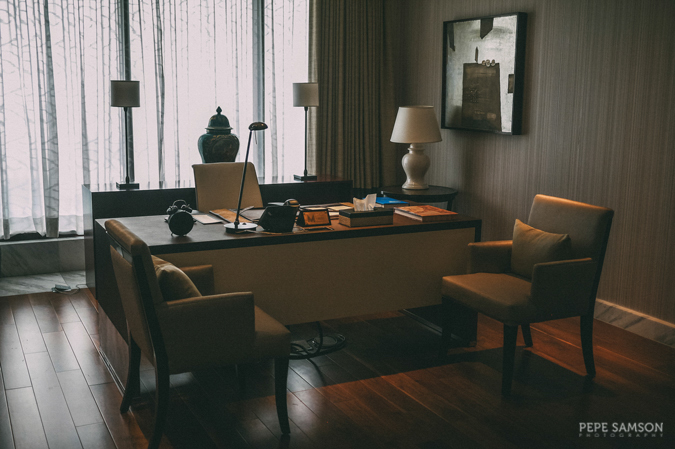 The iconic hotel boasts of a rich history, and it has become host to many important personalities from around the world. 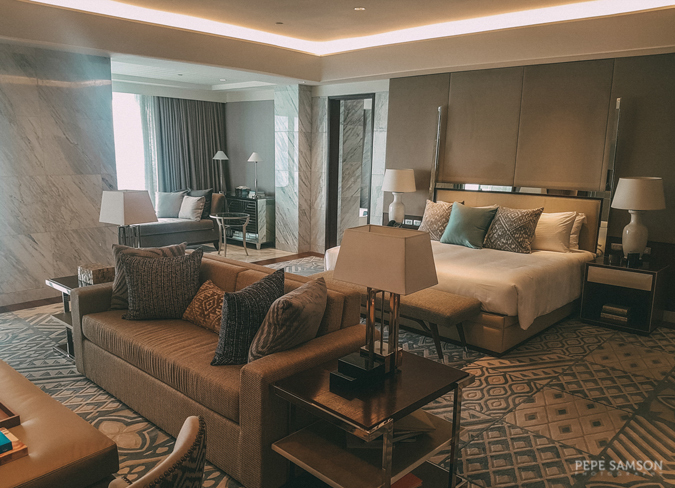 The newly-renovated Presidential Suite, which measures 1,200 sqm., is currently the biggest suite in Southeast Asia—a luxurious 3-bedroom suite that occupies an entire floor of Manila Hotel’s Tower Building. 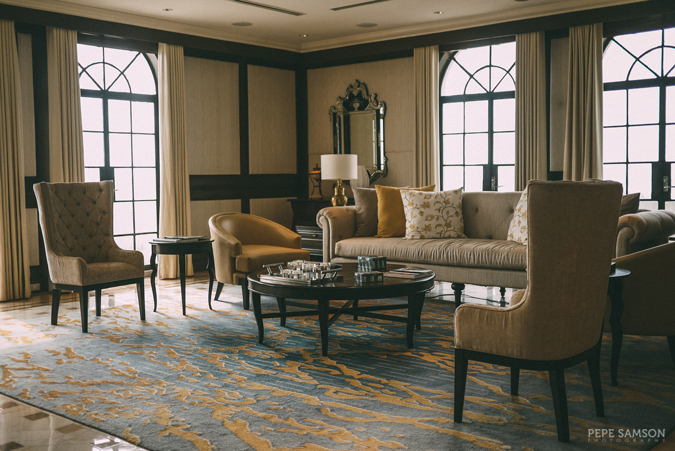 With its stately design, lavish amenities, extravagant spaces, and stringent security system, the Presidential Suite is definitely fit for royalty and heads of state. 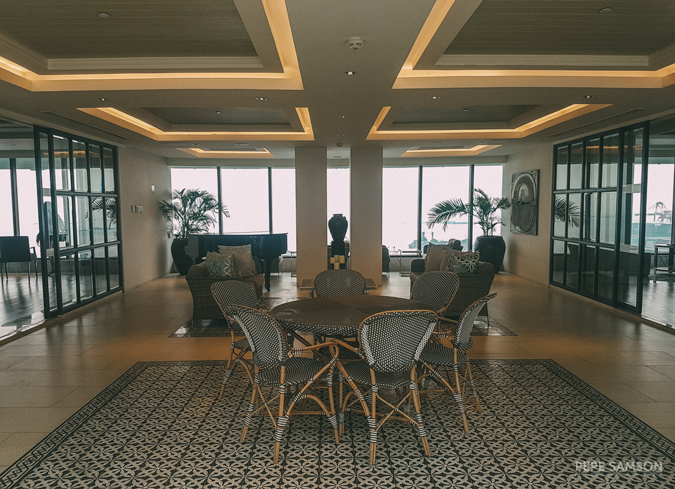 The Presidential Suite boasts of 3 bedrooms, a number of living rooms, a dining room, a full bar, a fully-equipped kitchen, a boardroom, a private office, a private spa, breathtaking views of both the Manila Bay and the city, an expansive lanai, a "secret entrance", and direct access to the helipad. 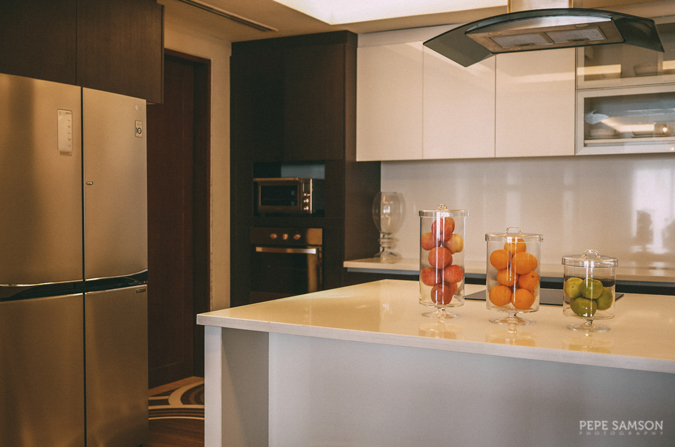 It also has bulletproof walls, soundproof window panels, high-end lock systems, and sensor-activated equipment. And get this—you get to have your own butler and a private chef! 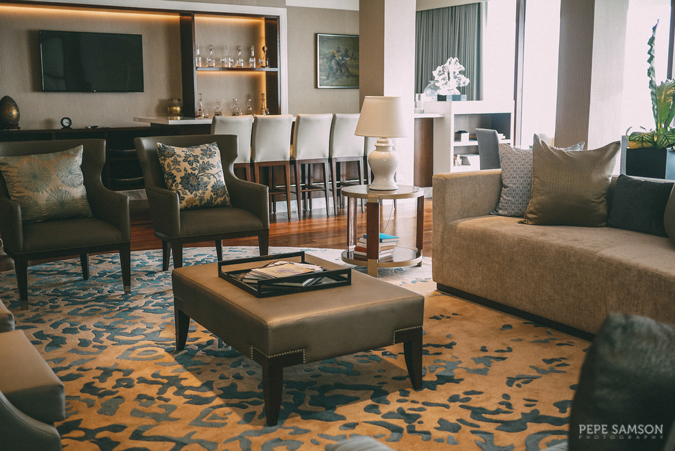 Indigenous materials make up the furniture, all sourced locally. 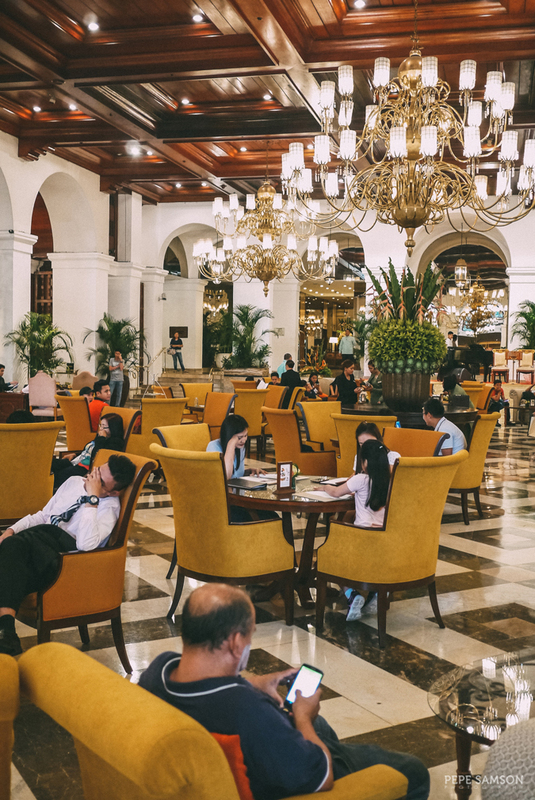 The interiors are a mix of modern designs and a somewhat native feel, and the over-all ambiance is cheery, elegant, and inviting. 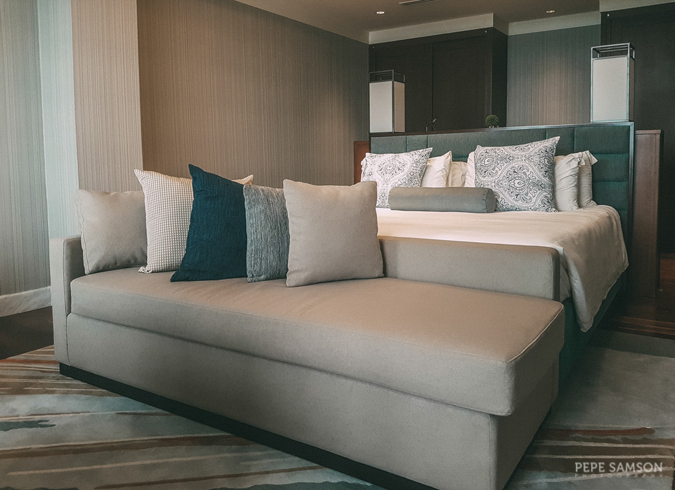 The master’s bedroom is very elegant and masculine, featuring gray and beige tones alongside whites and blues. It has, of course, a living area and a work area, as well as a capacious walk-in closet, a posh en suite bathroom, and the private spa! 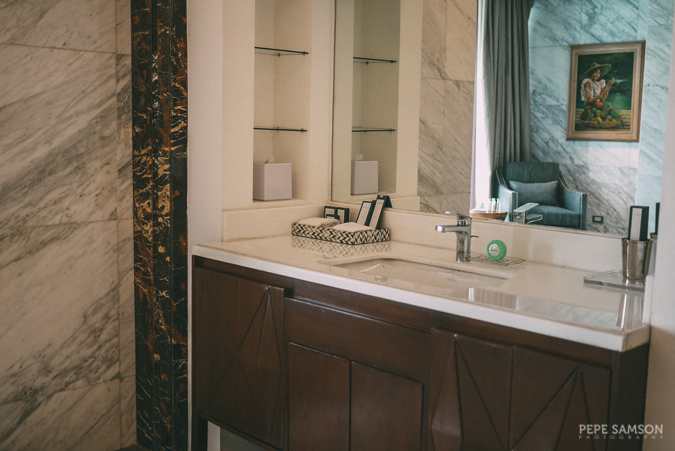 In the master’s bathroom, there are his-and-hers vanities, a walk-in shower, a sensor-activated toilet, and a Jacuzzi built beside a floor-to-ceiling window, offering a stunning bay view. Champagne please! 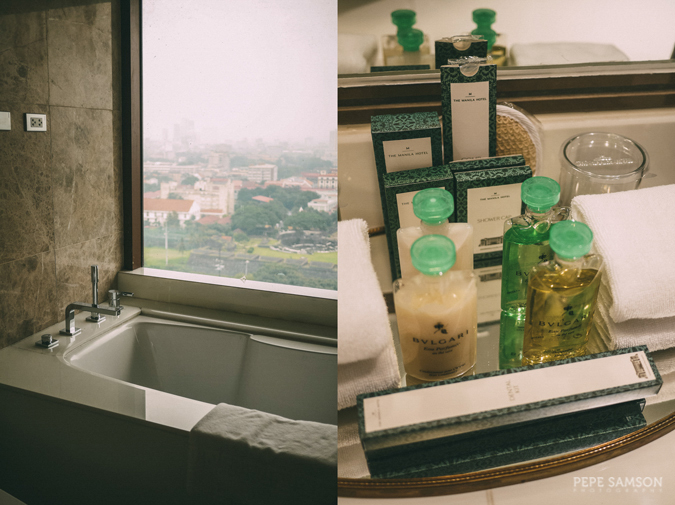 And hey, all bathrooms are made of Italian marble, and all the toiletries are Bulgari. 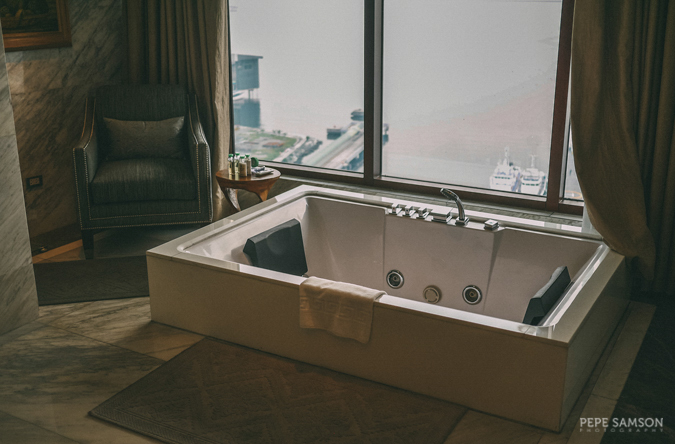 The private spa has two massage beds, chairs, and wash areas. 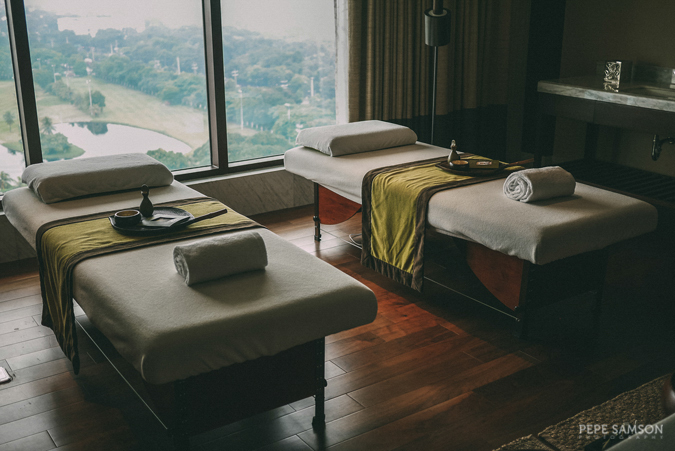 I can’t think of a more indulgent idea than having my own spa in my room! 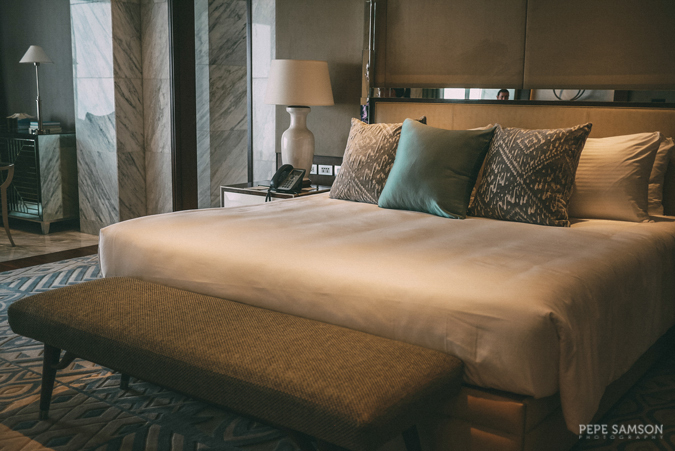 The two guest bedrooms are identical, featuring King beds, en suite bathrooms, executive desks, and sofas facing the huge windows. Entertaining some guests? 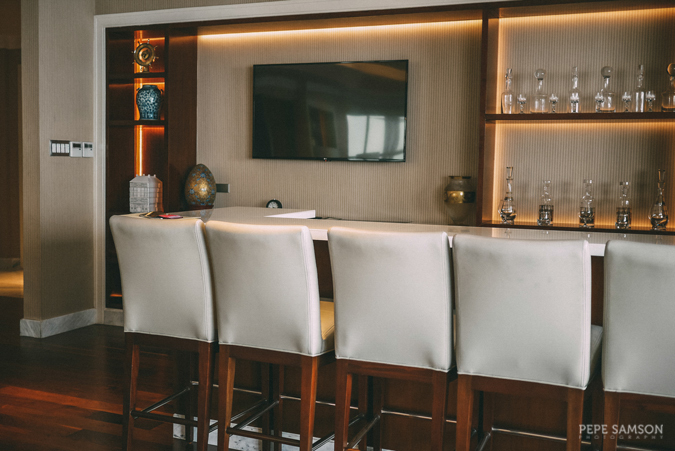 Request whatever you want from your private chef and enjoy a full dinner. 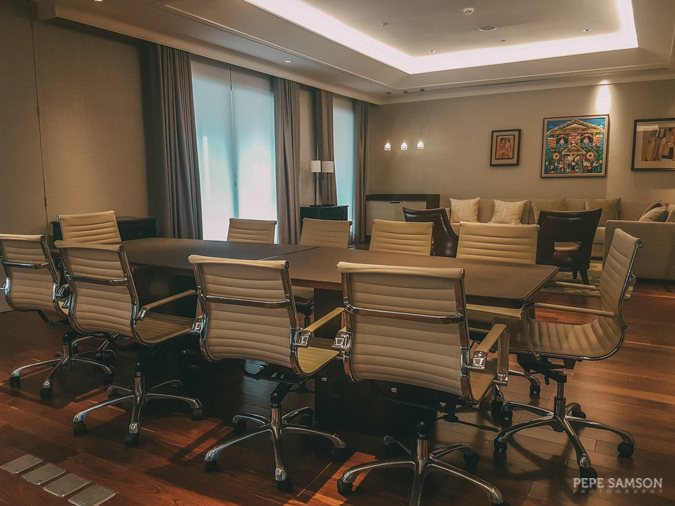 The suite costs a whopping PhP600,000/night, and with its inclusions and the hotel's old-world allure, it definitely is a prime choice for the leaders from other countries—especially in big events like the upcoming ASEAN Summit in November. 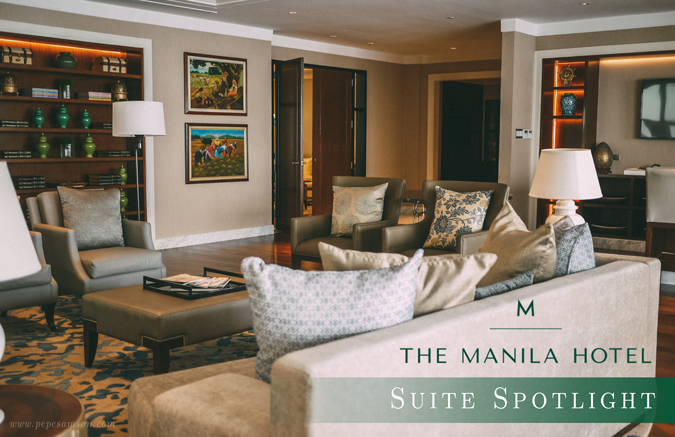 What do you think of The Manila Hotel's Presidential Suite?